What Can You Expect from AV Solutions? Crystal Clear Images – so realistic, in fact, that you’re going to think you’ve stepped in the scene. Concert Quality – you’ll love the sound quality that leaves you feeling like they’re at the concert. Comfort – we only use manufacturers that have high-quality recognition, so our plush theater seating will provide maximum comfort. Ambiance – our adjustable lighting features will allow you to create the best movie-watching experience fit for any genre and any crowd. If you are interested in using AV Solutions to create a home theater, or would like more information, let us know! Call 678-648-1603 or email info@avsolutionsatlanta.com. We’ve been in the business since 2009, and many people would agree with us when we say that we are dedicated to providing the best in your home theater. We are invested in you, and we know that a home theater is more than just a means to watching a movie; it’s a place to spend quality time with your family. It’s a place to create moments and memories that will last a lifetime. It’s a place that should become the next hangout spot, where your kids will be excited to invite friends to join. No more having to load everyone up in the car to go see a movie that might be packed out or have the ever-so-common viewer that comments on every line the actor says. Instead, you can create the best movie-watching experience in your home by letting us install your home theater. Some may think creating a home theater is a great Do-It-Yourself project, but trust us when we say to let the professionals take care of it. With a million other projects and tasks on your plate, the last thing you should have to deal with is wondering if each wire is connected to the right device. Not to mention that unmatched components may work incorrectly, taking away your sound, creating very pixelated videos, or worse. We’ve got your back through the whole process, because there’s no comparison to professionally designed and installed system. Schedule a consultation with us through phone or email, and we will figure out together what features best fit you and your home. Though you are fairly handy, do you know enough about home theater design to get the job done properly? If you live in the greater Atlanta metro area, help is available to you from our team at Audio Video Solutions (AV Solutions). We are a family owned and operated business that opened nearly a decade ago. 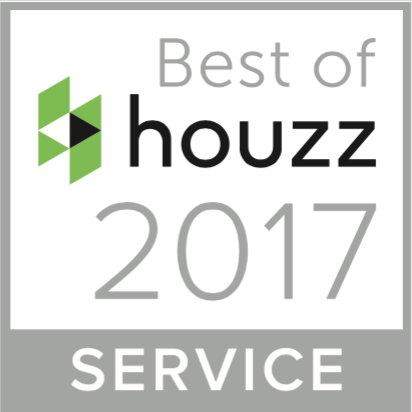 We have earned a reputation as the go-to design, installation and equipment provider for the best home theaters in Atlanta. The simple answer to this question is to have the best home system your budget can buy. Equipment for a home theater must be appropriate for the size of the space you have chosen. But, before choosing a room to convert means you need to talk to your designer about what it is you want. A cozy room for just you and a few friends? Or a space where you can entertain large groups to watch Braves games from the comfort of your home theater? Armed with this information, the AV Solutions Home Theater Design team can help you create the best design. Our designers are not bound to a single source for your home theater equipment. We select the equipment in each category from the large screen to the lighting and seating for your home theater. At AV Solutions, your home theater designers understand what a budget means – not cheap. Because the installation of a custom home theater design is difficult (audio and video need to be compatible and perfectly synched), we take professional installation into account when designing your system. Contact us today and hire the best AV design team for your home theater. Many of us can remember looking at the night sky through a telescope and recall the breath-taking experience of seeing the stars and planets from a good vantage point on a crystal clear night. Those of us who were lucky enough to visit a planetarium or go to a school that had one have been awe-struck at the clarity and closeness of the sky through a very powerful and sharp planetarium telescope. The comparison is similar when watching video on a high-definition large screen TV and watching the same video in a home theater. For a brief moment you are not watching the video, you are right there in the experience. You as a homeowner have choices to make. You could buy a home theater in a box from an electronics store, or you could have a custom designed home theater that takes into account your preferences for how a picture should look and how music and background noises play. Theaters in a box often disappoint as they are designed to appeal to the middle of the market for the “average” consumer. When you hire a Home Theater Design Firm like AV Solutions of Atlanta, you get a professionally designed home theater by consulting experts with components that work well together even with pieces made by different manufacturers. Our design team works great because they begin with you in conversation. The consulting team learns your listening and viewing preferences and what your home theater will be used for most – audio or video. Room dimensions are important too, as walls, ceilings and floors all play a part in acoustics. AV Solutions experienced consulting team then selects the proper components for your home theater as well as important accessories such as lighting and seating. If you are fifty years old or over, or are lucky enough to live in a city that has restored a wonderful Art Deco theater of the 1950 era, you know how important ambiance is to movies and concerts. These theaters are works of art. Though AV Solutions of Atlanta cannot promise you an affordable genuine 1950 Art Deco theater, if you tell us to, we can try to replicate one for you. Schedule a consultation with us, and see what we can with your home theater plans. Many hero homeowners believe that wiring a home theater system is as easy as wiring a desktop computer to the Internet. These heroic, partners or parents soon discover that there is very little similarity between the tasks. Even theater-in-a-box installations can be tricky, and the more you do in the way of buying different brands of components, the trickier installation can be. At AV Solutions of Atlanta, we professionally install your system. That means the tangle of wires you would otherwise experience will never darken your home theater installation. Why Let AV Solutions Install Your System? 1. Our Team is Trained for This. There is more to installing a home theater than connecting components. Just figuring which wires go where can make an installation a nightmare. Our professional installation team is trained for installing mixed components from the same or different manufacturers. 2. Speaker Placement Consideration is Imperative. Where you place speakers for optimum audio performance is an important consideration for top performance of your home theater system. Let our pros do this for you. 3. We’ll Calibrate Your System. Your system is likely to have many choices for both audio and video settings. One wrong setting can ruin an audio track, make a video too bright or cause the music to interfere with dialog. Our experienced and well-qualified installation team can provide your Atlanta area home with a craftsman type quality home theater wiring installation including calibration of audio, video and both combined. 4. We Give You Lighting Control. Ever wonder what you missed during a bathroom break or a trip to the movie theater lobby for popcorn and drinks? For whatever reason, projector rooms don’t pause a movie while you are out of the theater. But with a home video installation by AV Solutions, you control the pause button. And, AV Solutions can put everything onto a remote control that allows you to pause the show and raise the lighting when someone has to leave. Don’t leave your home theater setup to chance by wiring the system yourself. Contact us today and let our professionals do it for you. For the past 9 years, AV Solutions of Atlanta, Georgia is the place your neighbors, friends and family turn to for excellent installation of their home theaters. When we talk about home theaters, our certified team of installers can do it all – hang a large screen TV in a room in your home or office, install a complete home theater that includes audio and video equipment, home theater lighting and home theater seating. One of the most overlooked installation issues is speaker placement. Where speakers are placed in a home theater is driven by space and not by the layout. Our well-trained, certified home theater installation crews take a lot of care in finding the best spaces for speaker locations so that your audio comes through as if you are in a concert hall or small club. All you have to do is choose the environment you want your sound system to mimic, and our team will deliver just that. Video components need to be properly installed so that you enjoy your big screen TV monitor from any seat in the room. Installing a home theater is a job for experts. Many times we have “come to the rescue” of an ambitious do-it-yourself person who became frustrated with the installation process and called us to do the complete installation. No matter if you’re just getting started wanting a home theater, or starting to get frustrated trying to install it on your own, connect with us. We’d be happy to help! So, you have invested in a home theater system that you are putting in a spare room. You paid for a top system and plan to use your home theater for your family and as a place to entertain. But, you have not furnished the space yet, unless you count some mismatched lawn furniture and folding chairs as furnishings. The question becomes will you or your guests be comfortable in this environment? The answer, of course, is NO. You need to get home theater seating. AV Solutions of Atlanta, Georgia has a design team that works on seating and has access to many of the best home theater seating manufacturers in the industry. If you chose Audio and Video Solutions (AV Solutions) of Atlanta, Georgia to design your home theater, you most likely included seating as part of the design. You are starting off in great shape. But, if your design and installation were by another company, it is likely that a lot of time and money went into audio and visual equipment and not so much into seating. – Make sure every seat in your home theater is the best for everyone. Install at least one of your chairs with maximum back support and easy accessibility for your older family members and visitors. – Get home theater seating with no arms or movable arms for when you and your partner want to cuddle while watching a movie. – Choose durable and washable fabric if you have kids that will use the theater for hosting birthday parties. Don’t let the seating arrangements in your home theater fall short to the other components of installing a home theater. Schedule an appointment with AV Solutions, and see how we can balance our time and process to deliver the perfect home theater for you. AV Solutions of Atlanta, (AVS) began in 1996 as a family owned and operated business that has risen to be the best place for designing, buying and arranging installation for homeowners throughout the Atlanta metropolitan area. Because of this, we know the finishing touch for your home theater is the lighting. For the best lighting, you should have a mix of ambient and accent lighting. Mixing the two accomplishes more than just a gorgeous room; proper home theater lighting makes viewing better, causes less eyestrain and allows a person to move around easily when the movie ends. The design team at AV Solutions often specifies recessed fixtures on a dimmer switch, which creates an ambience that we recommend most for our clients. Many people call this type of lighting “cans.” They can give off lighting that has a soft glow that will not interfere with viewing, while also allowing home theater occupants enough light to find their popcorn without spilling their soda. On the other side of the spectrum, when you so desire, can lighting can also brighten a room as if the sun has risen in your home theater. For task work or to highlight an art piece or other family treasures, AV Solutions recommends track lighting. This style is very flexible and not only can provide task lighting, but due to its flexibility, can also be used for accent lighting or ambient lighting. In addition, lamps are exposed on a ceiling hung track allowing individual fixtures to swivel, move and rotate. This way, you can aim a single fixture or group of fixtures in any direction relative to the track. Other lighting includes floor strip lighting, wall sconces and task lighting adjacent to seating. Lighting controls can be wall mounted or be directed from a remote control. This allows you to have a lighting plan design that has many uses and is pleasing to the eye. Simply touch a button and today’s remote control devices let you set the lighting level to suit the activity. Create the best finishing touches to your home theater with AV Solutions’ help. Connect with us to learn more and to schedule a consultation. Selecting equipment is the most important of all the decisions you make for creating a home theater for you and your family. Metro Atlanta homeowners turn to AV Solutions of Atlanta for the best advice and equipment solutions for a home theater. Our team does not pull out equipment selection from a magician’s top hat. Instead, the team works with you to understand your complete home theater needs and wants. Before equipment selection begins, the AV Solutions team starts the process by determining the room size for your home theater. This means what sources you use to get video and audio programming – cable, sound system sources such as iPad streaming music, paid or free radio, online streaming music and such. While we carry equipment to fit most budgets, we only sell home theater equipment from recognized high-quality manufacturers. These also play a major part during equipment selection. The height of your ceilings as well as the type of flooring used all impact the room acoustics and will in return shape the sound quality of your home theater. A room that is strictly for home theater use may require different equipment than a multipurpose room where people will play online games. For instance, the Microsoft Xbox is a game controller that also streams video programs such as movies. If you’re looking for top-notch equipment in your home theater that will provide the best entertainment experience, contact AV Solutions.